When I saw that the 31 day “WORD” for the Five Minute Friday challenge month was “silence” I just had to use the word as a part of my writing today! Breaking the Silence is what I stand for! I am a CASA for ATLANTA (Court Appointed Special Advocate). I am a court-appointed advocates for abused or neglected children in order to provide children with a safe and healthy environment in permanent homes. I AM FOR CHILD! I am the voice for the children who don’t have a voice, or anyone to stand for their voice. Not only do I work for CASA, but I work hard in my own healing by “breaking the silence” every day by using my voice to connect and talk about the wounds that once isolated me to silence! I stand for those who tell their story against those who abused and hurt them! I stand for those who have the courage to write their story and let their vulnerable self be seen so that others out there will not feel alone in their fight for freedom for internal peace! I am proud to be a CASA, I wish I had a CASA when I was a little girl who needed a voice to stand for the abuse I was enduring. I was sexually abused from the age 5 until I was 10 right under the nose of those who”knew” it was going on, but never did a thing to stop it! I never had a voice, and I wish I did back then. I can’t change what happened when I was little, but what I can do is, use my voice today as a way to heal the wounds. Talking about my abuse and telling my story is breaking the silence and letting those wounds AIR and HEAL; no longer laying dormant in the dark getting infected! Shedding light on the dark everyday! For those out there who still sit in silence – you are NOT alone! your voice matters! Your story is important! Your wounds are cared for by those who want to help heal them with you! YOU are WORTHY of being seen and supported! it took me a long long time to really get that! Years of work with my therapist who still reminds me of the good work I am doing, I finally have learned to accept it and believe in my voice. If you ever have doubt, just know that you are not alone to speak that voice and letting the light shine on the darkness of the lies and silence! BREAK the SILENCE! YOU ARE GOOD ENOUGH! I’m so behind in reading the posts from my fav’s ???? I’m glad I get your posts via email!!! So glad I read this one. Thanks for being a CASA! And, thanks for sharing your story. 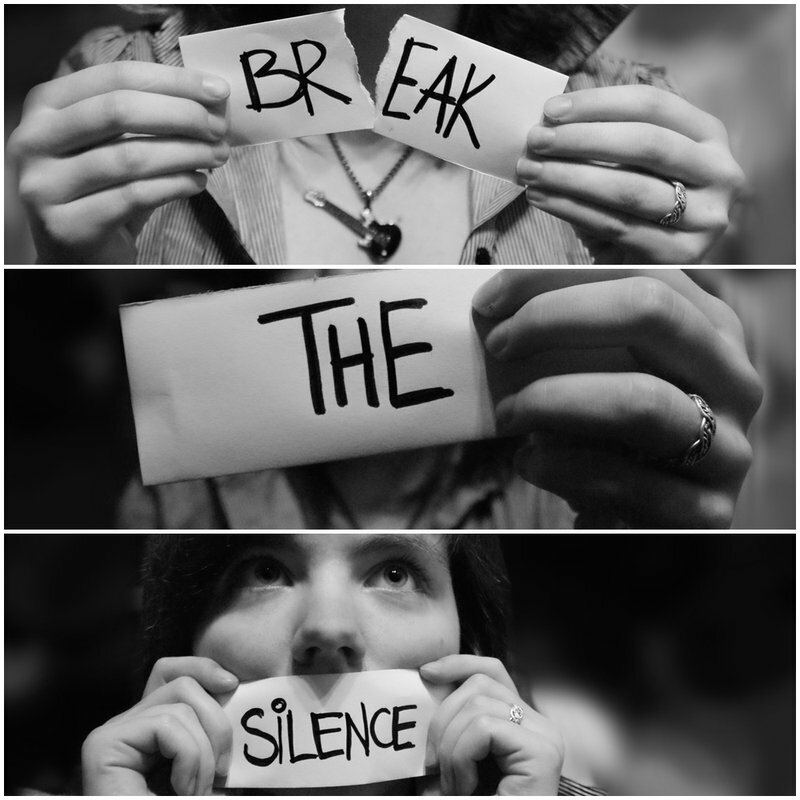 BREAK THE SILENCE!! !